Nemesis appears a recurrent visitor for the former EFCC boss in the person of Tunde Ogunsakin. This is as the former director of operations was recently interrogated by the State Secret Service [SSS] and the Economic and Financial Crimes Commission [EFCC] over offences ranging form treason to exam malpractice. Tunde Ogunsakin, who was removed embarrassingly from the position of director of operations at the EFCC earlier in 2009, was said to have been ordered by President Yar'dua through a letter addressed to the EFCC Chairperson to be investigated and if necessary removed and disciplined to the fullest extent of the law – in response to the University of Abuja Law School exam malpractice scandal involving the former EFCC boss. Acting on the President's directive, as Ukpakareports.com gathered though sources in Abuja, Tunde Ogunsakin was finally in quiet manner, invited by the EFCC for a closed door 'interview' over the charge levied on him over his activities at the university of Abuja law school. Tunde Ogunsakin, who up till his recent visit to the EFCC had never been interrogated by the EFCC investigative body, was reported to have arrived at the EFCC armed with a lawyer and a Count Order he obtained against his interrogation by the EFCC. However the Court Order, according to sources close to Tunde Ogunsakin, which was to halt the EFCC from questioning him, failed to yield the expected effect for the former EFCC boss. Our information have it that as Tunde Ogunsakin presented the said Court Order, the present Chairman of EFCC, Farida Waziri frowned at the court order. And in turn, ordered that Tunde Ogunsakin be detained as an alternative until he was ready to face his interrogators with equitable response and/or answer. This did not sit well with the frightened Tunde Ogunsakin who suddenly found himself faced with the threat of possible detention. Quickly, Tunde Ogunsakin decided to put away the said Court Order and immediately gave in to his interrogators. Although the details of the discussion are not available, impeccable sources state that Tunde Ogunsakin's discussion with the EFCC was that of denial. The source indicated that he denied having paid a student to attend and seat for examination in his name. A source within the EFCC noted that the inquiry into the said examination malpractice will soon come to an end in line with the President's directive. Amidst the mountain of problem facing the former EFCC boss, a recent run-in with the SSS over treasonable offences has immersed the former EFCC boss into even more trouble with the law and the Presidency. Information available to Ukpakareports.com indicates that following Tunde Ogunsakin's disgraceful exit from office, he has engaged in activities bordering on treasonable activities. As gathered, Tunde Ogunsakin joined forces with other disgruntled personalities to plot against the government of Nigeria and against its stability. As a source noted, Tunde Ogunsakin, following his embarrassing exit, jetted off to London where sources within the SSS believed he met up with the former EFCC Chairman, Nuhu Ribadu for sensitive meetings held behind closed doors. The total numbers of persons present at the meeting or the identities of persons present are not available but it is reported that other personalities were present. According a source within the SSS, both the former EFCC bosses and other equally disgruntled persons sat at meeting convened to plot the overthrow of the present administration. 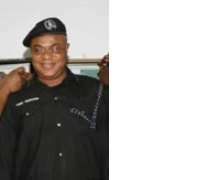 The SSS, to this end, detained and interrogated Tunde Ogunsakin immediately following his return to Nigeria. The details of the interrogation remain sketchy. There is new unconfirmed information that may exacerbate even further the stench of trouble the former EFCC boss currently finds himself engulfed in. A source near the Presidency quips that the Presidency has opened another new investigation on the former EFCC boss – over his possible use of his former office as the head of operations at the EFCC to investigate and gathered sensitive information on the President – for the purposes of leaking the information to the media – and to embarrass the President unnecessarily. Of which included personal information about his health, his nuclei family, his sons and daughter. While the source notes with uncertainty over whether the investigation has begun or launched, he noted however that the investigation had been discussed amongst highly placed security officials of the country.